Coming July 30, 2016. Summer in the Andes means skiing! Join pro skier Jess McMillan (filling in for Ingrid Backstrom this year) on the Ingrid Backstrom’s Next Level Women’s Ski Camp in Nevados de Chillan, Chile. 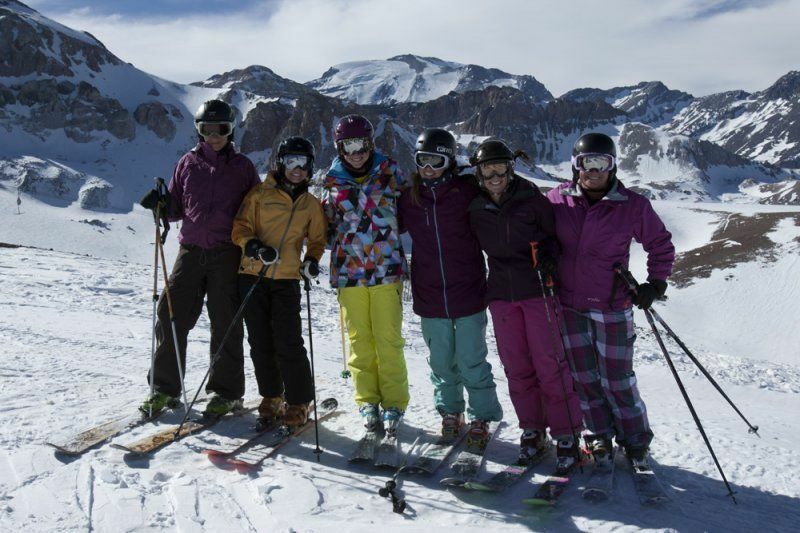 The small group size of 8 lucky ladies ensures plenty of individual attention for this 8-day camp geared towards advanced intermediates to advanced female skiers. You’ll be introduced to off-piste and backcountry exploring, including snow safety and backcountry equipment, skiing in variable snow conditions, choosing your route, how to be prepared for different types of weather and more. Optional morning yoga session will start the day off right, and following Chilean dinner buffets with local red wines, evening activities include karaoke, live music, dancing, and relaxing in the hot springs.